Pin curls brush out | S J M W E L L - Fashion, Beauty & Lifestyle blog. Pin curls were something that have taken me quite a while to get the hang of and still am, really. I used to get a bit frazzled with the roll up of the hair but I'm finally getting there. 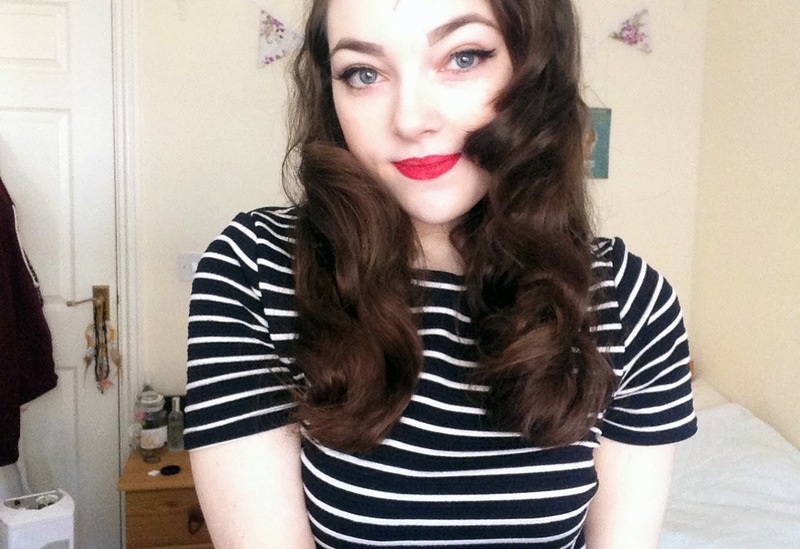 If you wanted another vintage inspired hair set, bendy rollers are also great to use. I also have a video here on taking them out. While I had some time to film, I thought I would film the process I take to brush it out. It's quite easy, just brush and hair spray a lot! If you find your hair gets frizzy, which it highly likely will if you're hair has this tendency, and unless brushed out enough- then something like a finishing pomade to tame the frizz and set it all down in place works a treat, I forgot to mention it in my video! I like applying a tiny amount to my hands rubbing it in to warm it up and just go through my hair, any left on the hand i'll add on a smoothing brush, that i'll use to go over the top if needed. This is definitely something that helps with the brush out, I would highly recommend investing in it. A hairspray I love, which is the biggest bargain of all is the Tesco 'Extra firm hold hair spray' it's in their value range in a bright purple bottle, best part is- it truly is extra firm hold, a n d it's only 80p?! madness! Another little bargain I'd recommend if you want that gorgeous vintage hair to stay in it's place. I have a couple of other heat free curl videos on my channel here and here if you wanted to go heat free! 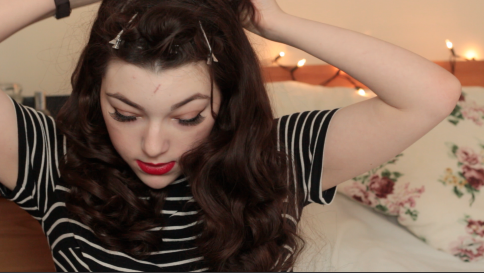 Another vintage inspired hair post will be up soon! Do you like vintage inspired hair? Have any product recommendations to tame it? Great post! I love your hair style!